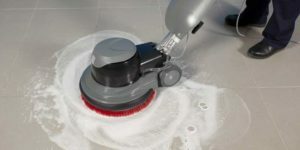 Clean Your Tile and Grout With Our Professional Cleaners! 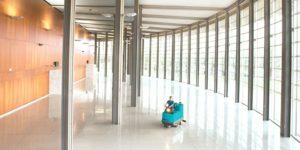 Our cleaners from Excellence Janitorial Services & Carpet Cleaning offer you the finest tile and grout cleaning services in Bakersfield, CA. Sometimes, cleaning your bathroom or kitchen tiles seem like an endless task. It is not only challenging, but also highly laborious and time consuming. However, when you choose Excellence Janitorial Services & Carpet Cleaning, you can rest assured that your tiles and grouts will be spotlessly clean. Tiles and grouts are among those decorative materials in our homes that need to be taken care of very carefully. Food and drink spills that are not attended at the right time can dry up to form stubborn stains. Not only do they leave dirty marks but also compromises the shine and color of your tiles. Immediate cleaning with right procedure is required to avoid further damages. Our cleaners are professionals that after inspecting your tiles and grouts and perform right cleaning procedures. From the chemicals that we use to the equipments that we employ, everything is advanced and tested for better results. Apart from basic cleaning, we also do tile and grout sealing – as the process plays a huge role in protecting your tiles from mold, mildew and bacteria growth. Furthermore, it makes the tiles and grouts last longer, saving your high replacement cost in the near future. Call on us to breathe new life into dirty, cracked, missing, stained and discolored grouts and tiles. Our expert technicians deliver tile grout cleaning & sealing services that not only deep clean and sanitize tile and grout lines but also seal the restored tiles to ensure that the results last longer.